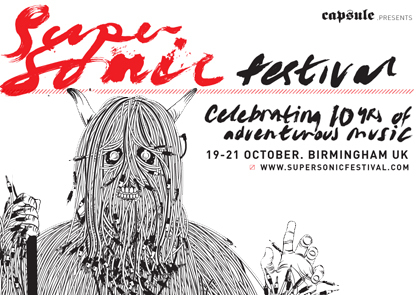 Each year the lovely people at HTF Media volunteer their time to document Supersonic Festival for us all to relive our favourite moments. They’ve just completed a great snapshot of the festival, all to the sound of Goat, a musical highlight for many this year. Enormous thanks goes to Matt and his team at HTF Media as well as students at Birmingham City University who volunteered with the film crew this year. Thanks also to Goat and Rocket Recordings for use of the track ‘Goatman’.